Because the body does not come with a manual, understanding what is causing a headache can be difficult. Even after drinking plenty of water and getting rest, the headache may persist. If you have ever been in this situation, keep reading for possible explanations of what is causing your headaches and how you might make them go away. In order to understand what might be causing your headache, it is important to recognize that though there are many different causes, they all fall into one of two categories: primary or secondary. Primary headaches are headaches that result directly from pain in structures within the head. That is to say; they are not symptomatic of other issues occurring within the body. Contrastingly, secondary headaches are a pain in the head that signals other underlying causes. This means that many types of headaches occur because the nerves in the head are reacting to an unfavorable condition somewhere else in the body. One highly common form of primary headaches is a tension headache. Whether you’ve been craning your neck to paint the ceiling all day, or leaning over a desk, or you simply haven’t stretched in a while, you may have inadvertently walked into a headache. You may determine this is the case if you are feeling dull pain centered around the base of the skull where the neck meets the head, the forehead, or the sides of the head. Sometimes the muscles of the neck and shoulders may also feel tender. To prevent tension headaches, it is necessary not only to gently stretch the neck but to give care to other muscles throughout the body. Because muscles in various parts of the body are all connected, effective headache prevention means stretching the arms, shoulders, back, sides, legs, and hips. Also important is to avoid long periods of holding still. This means getting out of your chair at least once an hour at work and walking around for at least five minutes or setting a timer to go off periodically to remind you to go outside. While you are seated, remember to sit symmetrically, and avoid burdening the muscles on one side of the body more than the other. 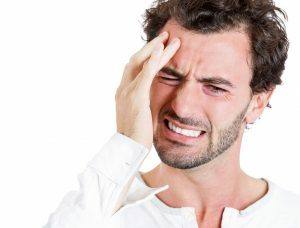 Affecting men more often than women, cluster headaches are named for their tendency to occur daily in a week- or month-long spells, or cluster periods, and to otherwise go into remission. If you are experiencing short but intensely headaches that center around the eyes and appear with this sort of frequency, you may be suffering from cluster headaches. The cause of these headaches remains unknown, but it is advisable to consult a medical professional for help in coping with the pain. Similar to a cluster headache, causes of migraines are not entirely understood, but there seem to be genetic and environmental factors in determining who gets migraines and when. Though triggers vary between people, one commonality between many cases of a migraine is the body’s struggle to cope with preventable conditions. 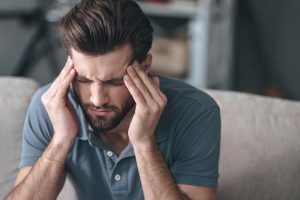 Debilitating and lasting either hours or days, in some cases migraine headaches may be the body’s violent way of communicating that it needs a lifestyle change. This could mean a need to go to bed at the same time night tonight, to sleep more, to avoid or cut down on caffeine, to stop consuming chocolate, wine, or fermented foods, or to stop doing sit-ups, which strain the neck and lower back unnecessarily. In other cases, the body may be protesting a lack of exercise. Some migraine sufferers may benefit from avoiding the smell of cooking onions and sage– triggers are different for everyone, and as they are often subtle, it may be helpful to keep a journal. Detective work is required, but the resulting relief is worth the trouble. It is also important to understand that tension headaches and migraines may be related. Though neck tension does not always cause a migraine, many migraine sufferers notice an increased risk of a headache when skipping the stretch after a workout, sitting still while traveling long distances, or failing to maintain healthy posture. 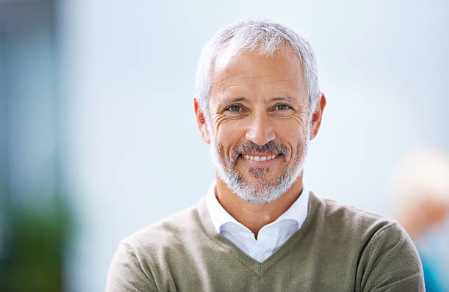 If your headaches are severe and come on within the span of one minute, lasting for at least five more minutes, they are thunderclap headaches and require immediate medical evaluation, as they often accompany more serious conditions involving the brain. Secondary headaches may be telling you not that you need to take an Advil, but that a condition somewhere else in the body needs to be addressed. Without water, the body is unable to perform many of the chemical reactions necessary for keeping you going. This can be linked to both an overabundance and an under-abundance of salt in the diet. A bacterial imbalance or infection in the digestive tract can, curiously, cause a headache in the sinuses. If your sinuses hurt but you do not remember exposing yourself to significant allergens, it may be related to something you ate. Closely related to the primary tension headache, the body’s subconscious reactions to stress may cause or exacerbate headaches. Though the primary struggle in overcoming an evening’s excess of alcohol is the responsibility of the stomach and liver, its effects are famously also felt in the brain. What really occurs during a hangover is the inflammation of the stomach’s lining or gastritis. Developing close to the time at which consumption stops, substance withdrawal headaches usually appear when the body has developed a dependency on a substance over the course of weeks or months. Though it is most widely known in relation to caffeine, symptoms also present during withdrawal from birth control and a number of commonly abused substances, including opioids. Often in close occurrence with a migraine for those who are susceptible, the way to prevent this type of a headache is to maintain glucose levels by eating at regular times each day, keeping smaller gaps between meals, and sticking to more complex carbs. Fasting, skipping meals, delaying meals, and consuming foods high in sugar may trigger it.